Okay friends… You asked and they are finally rolling along! 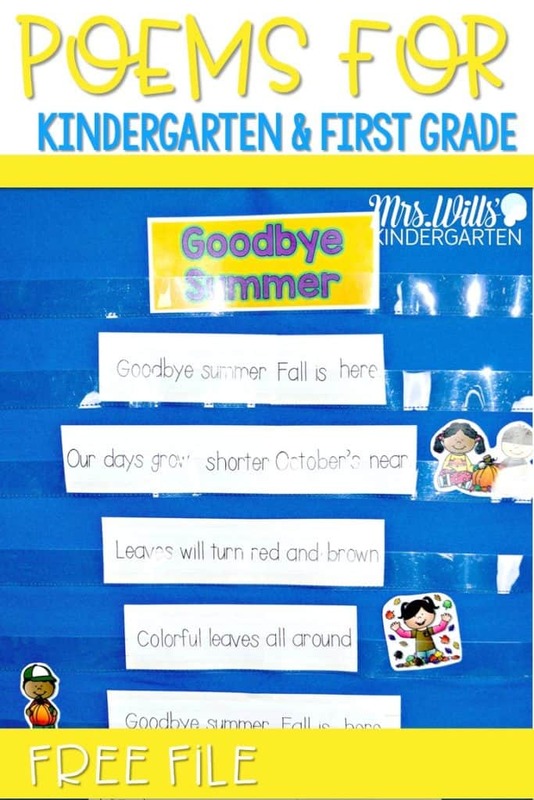 Poems for kindergarten and first grade are HERE! For the last few years, I have heard some fantastic feedback on my poetry units… with one small problem. Teachers who either looped with their classroom or schools that want to use them in kindergarten AND first grade. I needed to offer more poems. So here we go! Poems for Kindergarten and First Grade: What is included with the poems? I included two levels of word work. 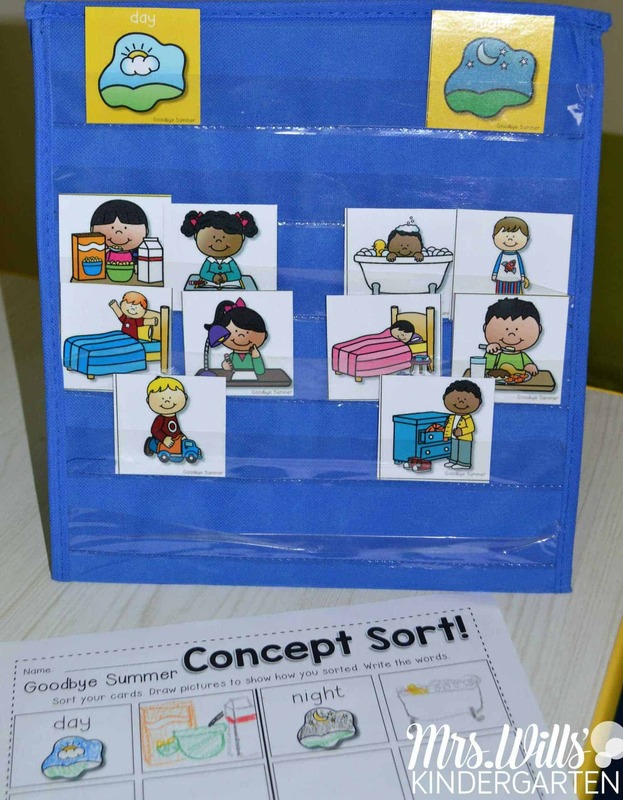 This works great for classrooms who have kindergarten and first grade, but it is also a GREAT way to differentiate your instruction. Not every student is at grade level… right? Some students are above grade level and some are not quite there yet. Now you have activities that all of your students can participate in. 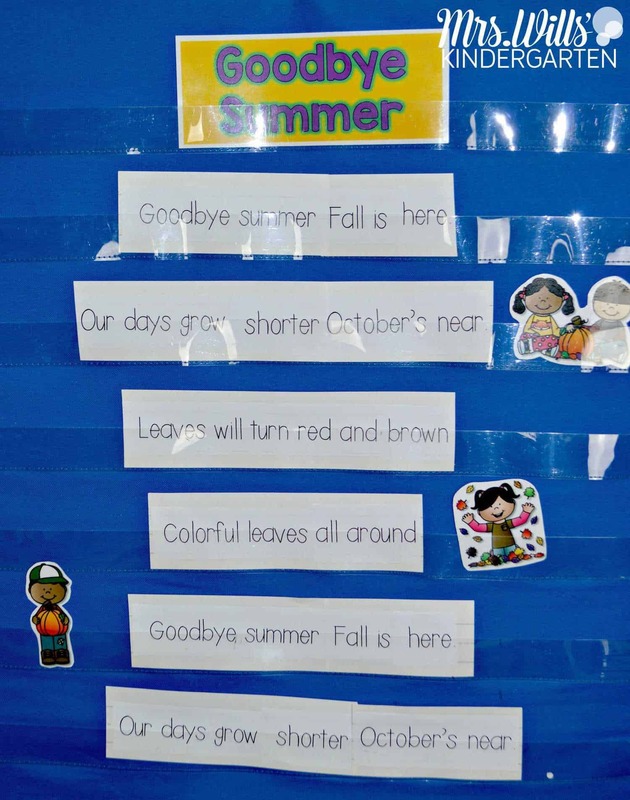 Poems for Kindergarten and First Grade: A closer look! Here is a poem that is included in the August and September pack. It is set to the tune, “Baa, Baa, Black Sheep.” Don’t worry… if you are musically challenged (moi) these will also be recorded for you to purchase if you wish. 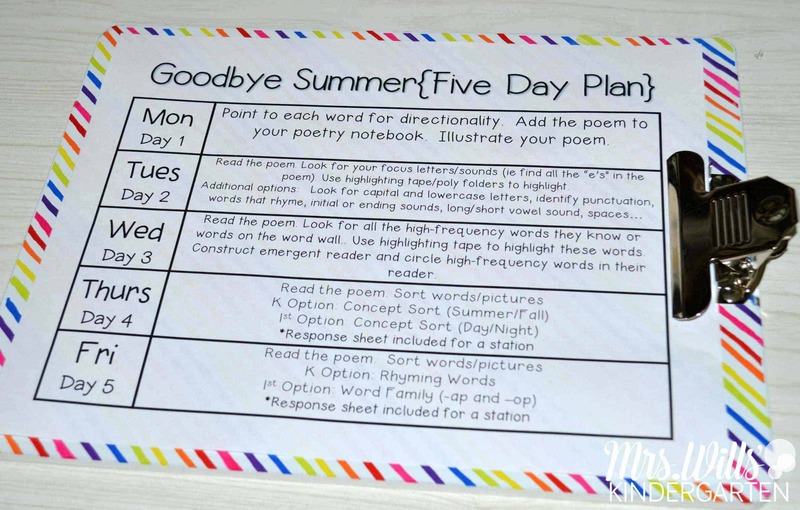 Each poem comes with a five-day fluency plan! Simple… just print! 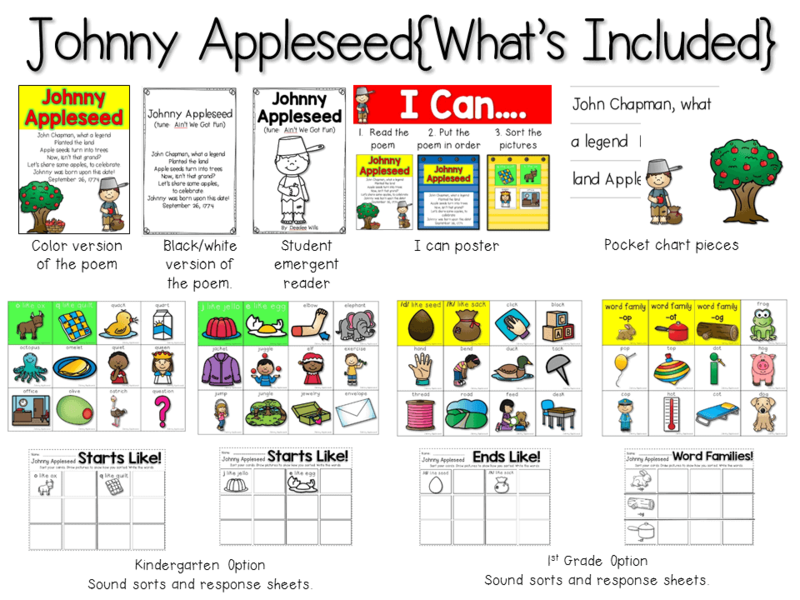 These are a great way for the students to continue to practice the poem! Part of the fluency plan for SURE! If you have a document camera or interactive whiteboard, this is a great option. 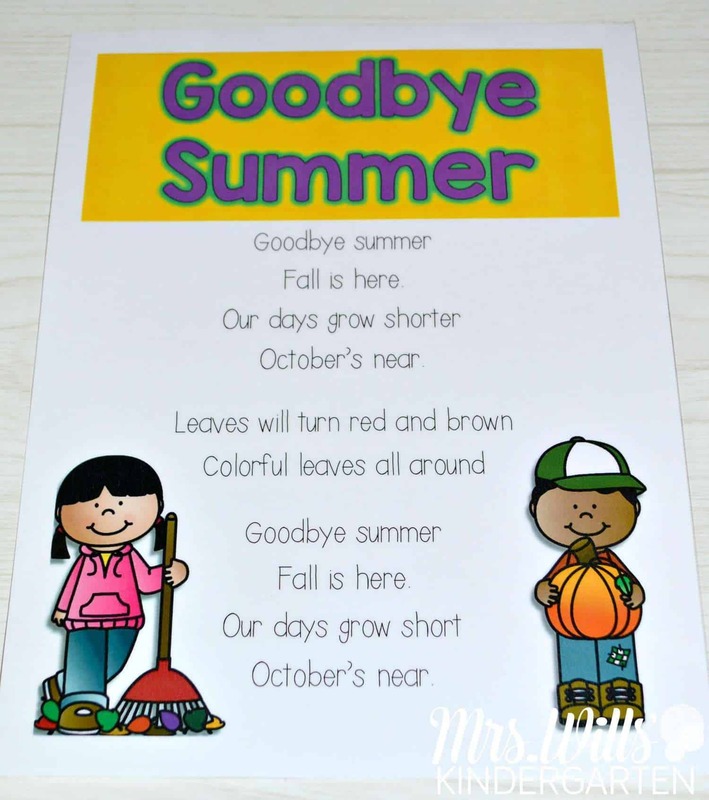 You can also collect them in a class poetry notebook and place them in your classroom library. 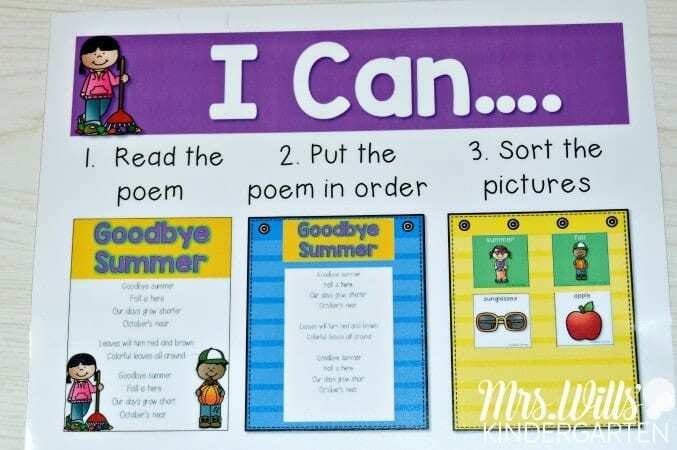 The “I Can” card helps students know what to do should you decide to add this to a literacy center. 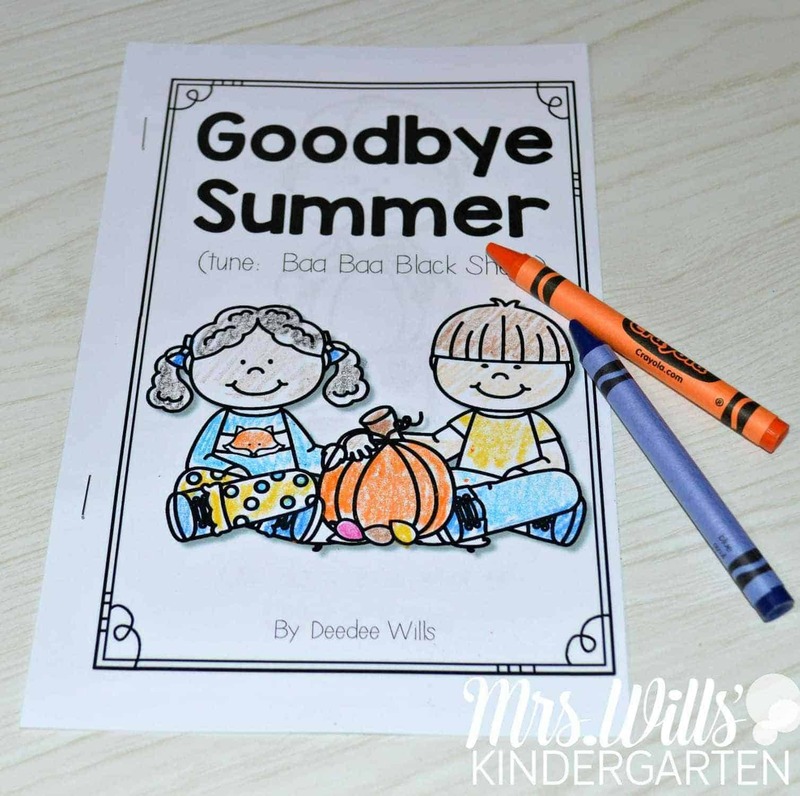 Each poem comes with 2 literacy activities for kindergarten and 2 literacy activities for first grade. This will help you tailor the work towards the students’ needs. Want to learn more about poetry in my classroom? You can click HERE to read more! How about a free video to go with these?